It seems that in Ancient Egypt there were a relationship between the hair element and some rites of Heliopolis. 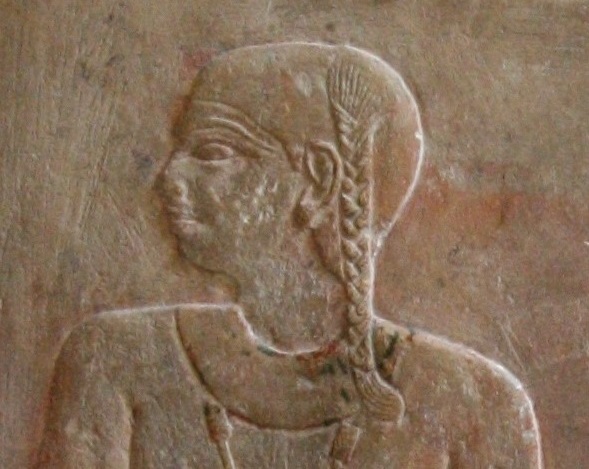 The funerary texts show that the hair, the lock of hair and the cut of this lock of hair were somehow connected with religious practices of this ancient Egyptian city. The festivities of snwt and dnit were important lunar celebrations in Heliopolis during the Old Kingdom. In chapters 167 and 674 of the Coffin Texts it is said how the deceased receives the offers of bread for the snwt festivity and the bier for the dnit festivity in the moment when the two mourners prepare their hair for him. 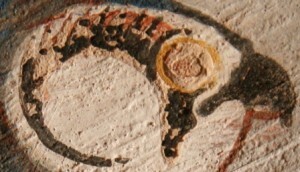 The snwt festivity was celebrated in Ancient Egypt the 6th day of the month (Wb IV, 153, 4) and dnit was the celebration of the first and third crescent (Wb V, 465, 6 and 7). During these days ancient Egyptians celebrated in Heliopolis the process of recovery of the lunar eye, and the following day was called “day of Horus’ festivity” (Derchain, 1962, p. 30). So in Heliopolis, the lunar cycle was celebrated with the hair element as a process of rebirth, as it was in the funerals of Ancient Egypt. Also in the chapter 532 of the Coffin Texts we can read that the deceased recover his head and many faculties for his new life. And related to it we read: “Formula for placing the head… Is tied to me a lock of hair in Heliopolis, the day of cutting the lock of hair s3mt”. Also P. Barguet considered cutting the s3mt as a Helipolitan ritual (P. Barguet, 1986, p. 52, n. 5). Although more related to the fact of becoming an adult. The side lock of Egyptian children was cut when they became adults. Khonsu in the funerary temple of Seti I. XIX Dynasty. Photo: Mª Rosa Valdesogo. In religious sphere, the lock of hair was a symbol also of youth. Khonsu, the lunar god, was represented with his side lock and his lunar head-dress. In a symbolic context, maybe to cut the s3mt was made in Ancient Egypt, originated in Heliopolis, when the moon was not a crescent anymore, but a full moon, that is, when the moon stopped being a child and became an adult. Cutting the s3mt would mean full moon, light, order and new life. So, in Ancient Egypt concepts as “growing”, “eliminate enemies” and “recovery” appear in lunar festivities located in Heliopolis and with the gestures of showing and cutting hair as it happened during funerals. The question is: were these practices taken by Heliopolitan priests from the popular funeral tradition?